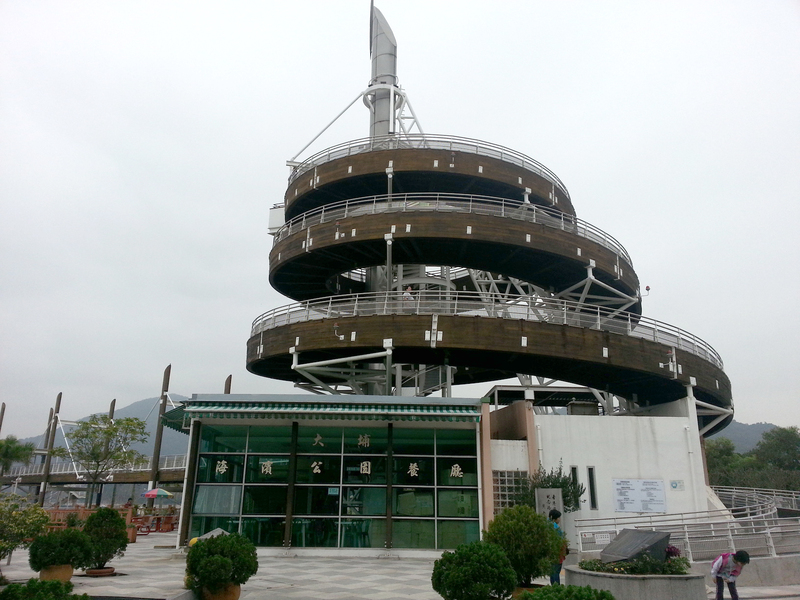 Getting to the park isn’t quite as easy as I had hoped, mainly because it’s not that close to Tai Po Market MTR station. We decided to take a taxi from the station to the park, but other alternatives include the 20C or 20K minibus which go pretty close by. On the way back we actually walked back to the MTR station, which was a really nice walk alongside cycle tracks and took 20-25 minutes. Alternatively, you could catch the 75X bus from Kowloon City (get off at the terminus, Fu Shin Estate, which is adjacent to the park) or the 72A from Tai Wai (get off at the Yue Kok bus stop and walk down Yuen Shin Road to get to the park). Once you are in the park, there is lots to explore. Our taxi dropped us off at the entrance by the bowling green on Dai Fat Street. We walked past the bowling greens (via a pit stop at the toilets) and came to a playground. It was a pretty nice, big playground so we let the twins run around there for a while. 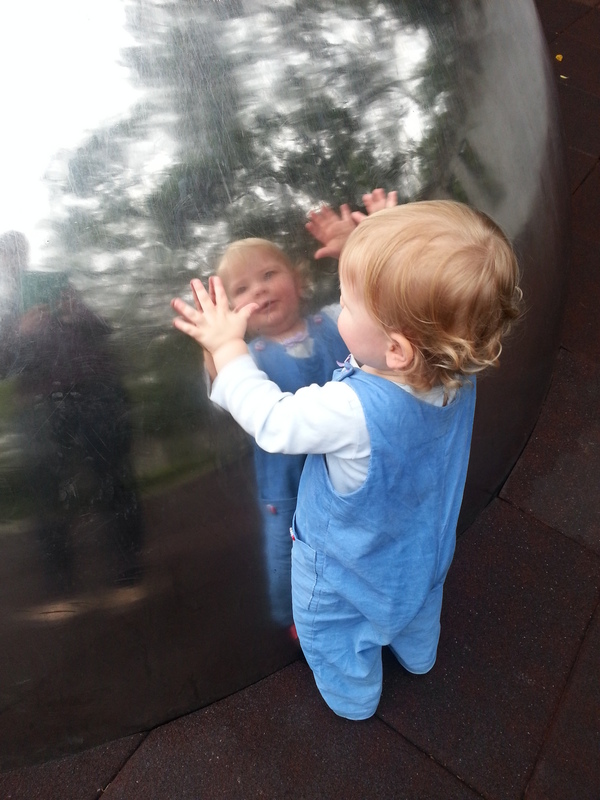 Isobel liked this shiny ball in the random minimalist area of the playground intended for older kids. This playground was situated in the vicinity of several themed gardens. 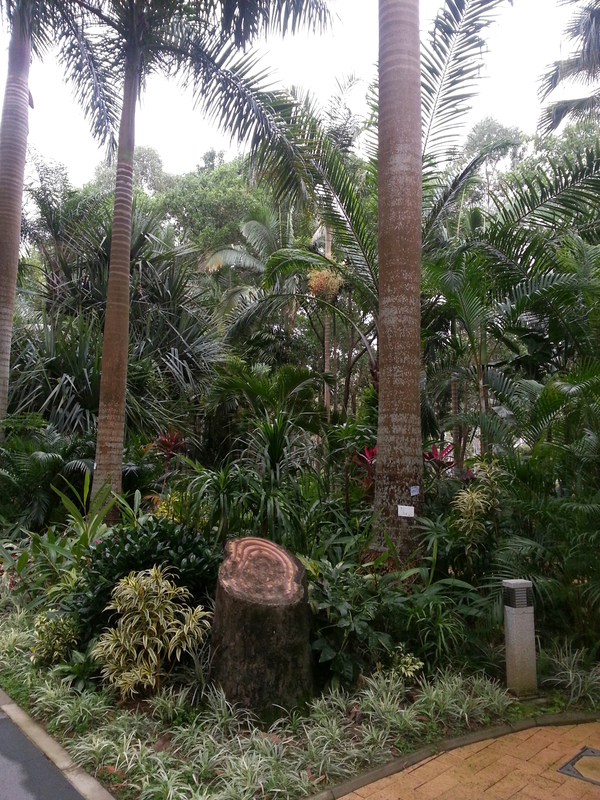 You can see where the Palm Garden got its name from! Beyond the Palm Garden we found the waterfront. Surprisingly, we couldn’t get right up to the waterfront in the park because the cycle track running from Sha Tin to Tai Mei Tuk goes along the waterfront below. But that doesn’t really matter, as you still get the great views over the Tolo Harbour from the park. We followed this path along the edge of the park, past a lovely open grassy area which was signposted as a kite flying area and came across this lookout tower. 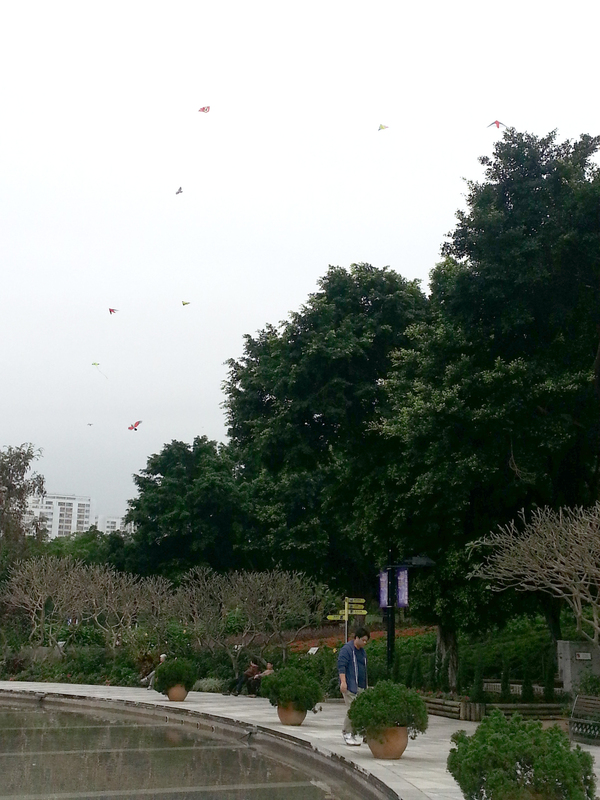 You also got a great view of the kites flying above the kite flying area (and indeed, the whole park) from part way up the tower. Moving on from the tower we came across another playground where we stopped to allow the twins to run around (I think we saw 3 or 4 playgrounds in total), and then beyond that some more beautifully manicured gardens (called the Western Garden). 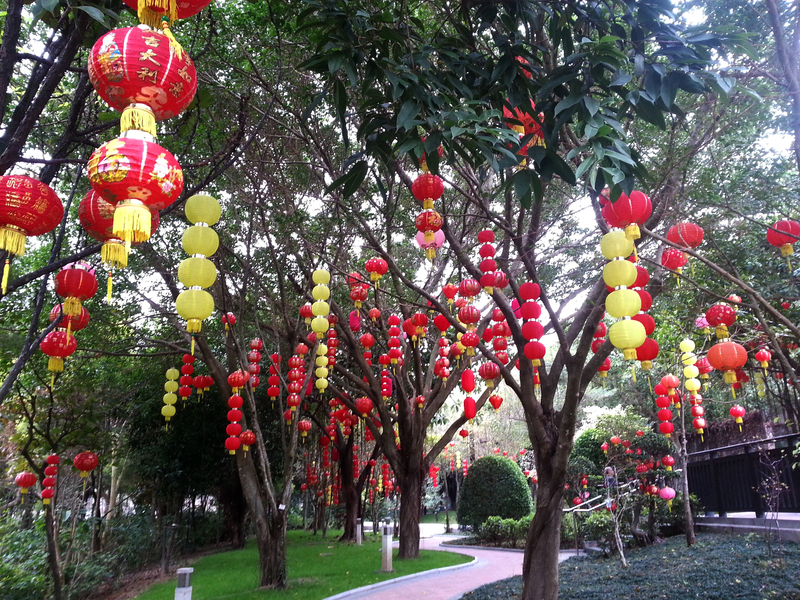 Next to this garden was an area filled with Chinese lanterns. Very picturesque! 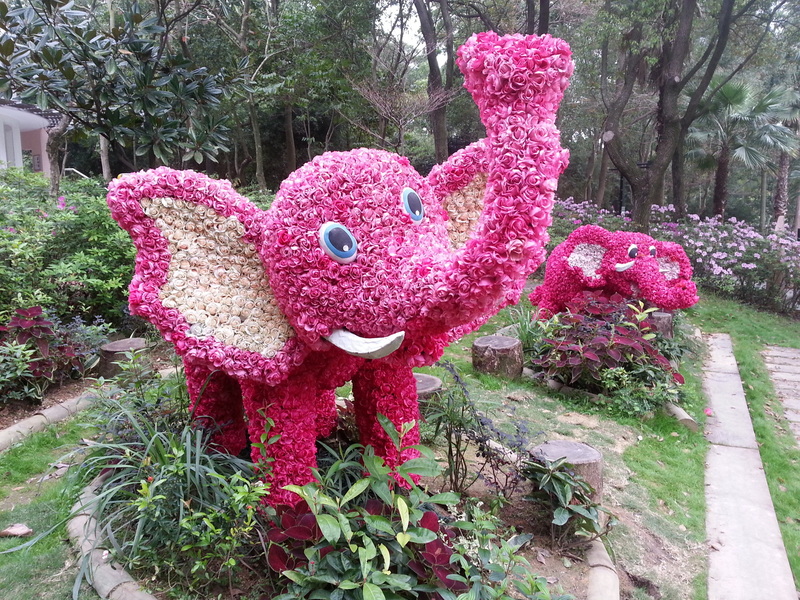 Finally, we walked back through the centre of the park, past an outdoor theatre and some random elephants made of (fake) flowers. 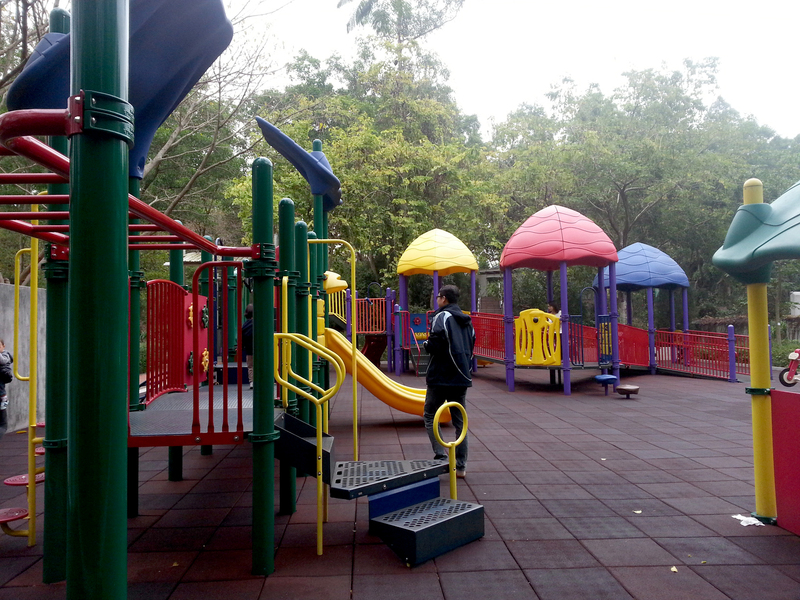 We really enjoyed visiting this park and spent a good couple of hours there, although you could spend much longer if you brought a picnic and wanted to chill out on the grass or try all the play areas with kids. The views were beautiful as well, and would be amazing on a clear day.